Do you suffer from painful joints? A joint is the ‘hinge’ between two or more bones. An adult skeleton consists of approximately 206 bones. Therefore, our body also contains many joints, approximately 170. Our hand, for example, has 14 joints. These joints could become painful and obviously there can be many reasons for these joint pains. Painful joints? Let’s examine the structure of the wrists. In most joints, the bone extremities are covered with cartilage. 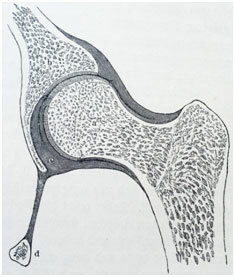 The function of cartilage is to protect the bones and to assist in a range of motions. This is necessary because there is usually a great deal of force exerted on the bones and joints. It is important for the bones in a joint to stay connected to each. That is why you have joint bands, which are called ligaments. These bands are made of very strong connective tissue, enabling them to absorb a great deal of force. 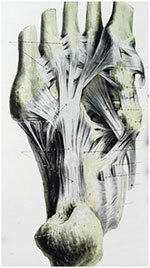 The ligaments are part of the joint capsule, which envelops the joint. The joint cavity is located within the capsule and is formed by the capsule that surrounds it. The joint cavity contains a syrup-like fluid (called the synovial fluid), which ensures that the articulations of the bones in the joint run smoothly. Sometimes the bone, cartilage or joint capsule becomes irritated and this causes various problems. If something is wrong in the structure of the joints, it could result in painful joints. When suffering from painful joints, certain movements become difficult or can no longer be executed, such as twisting a lid open, combing hair or lifting a bag. Also at night, a common phenomenon is not being able to fall asleep or waking up from pain in the joints. The type of joint pain depends on which of the 170 joints is affected by pain or stiffness. For example, if the big toe is stiff or painful, it is difficult to walk and to complete the heel-to-toe gait. As a reaction to this, pain might also occur at the ankle or even in the lower back. After all, all these joints are directly or indirectly connected to each other. A problem in one joint can manifest itself in other parts of the body. Why do painful joints occur? Problems in the joints often come from straining the joint or from arthrosis and sometimes due to an inflammation, for example in the case of gout and rheumatism. Sometimes it is difficult to determine where the pain is. For example, if you have problems in your shoulder joint, the pain could radiate to the muscles of our upper arm or even to your hand. Overweight is one of the major causes of painful joints. Merely the fact that we walk upright exerts considerable load on our joints. If in addition, we also bear a few dozen extra kilograms, we could develop problems in our knees or lower back. In people over the age of 50 in particular, if mild arthrosis of the joints develops, overweight will result in additional problems. Repetitive movements of certain simple movements, such as using a computer mouse or a great deal of typing, can cause wrist and elbow problems. Frequently, this not only causes painful joints, but the muscles and tendons also become sensitive. Arthrosis is by far the most common cause of painful joints, together with neuroinflammation, which is generated by arthrosis. Consequently, the nerves are irritated further and contribute to chronic pain. Take for example arthrosis of the lower back vertebrae. Arthrosis could constrict the space in which nerves run from the spine to the legs. The pressure on the nerves could create an infection (inflammation) of the neurons and, if you are really unlucky, you may develop a hernia alongside. In case of a hernia, the nerves have even less room and the pain in the back and legs worsens. Arthrosis often gives rise to pain and stiffness in the hips, the knees, at the base of the thumb or at the distal phalanges in the fingers. 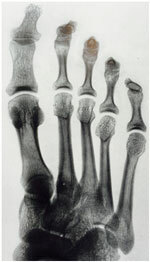 The big toe is another area in the body that can suffer from arthrosis. This is especially the case in women who have walked most of their lives on high heels, which particularly exerts a unilateral load on the joints. The symptoms of arthrosis are typically worse in the morning when, for example, you first move your hand or knee. That is the initial pain. This pain and stiffness decreases within the first 30 minutes of movement. Often you will notice that after ten minutes of moving there is a clear improvement. However, in case of intensive or long-lasting movements, the pain comes back. To better understand the cause of your painful joints, it is important to examine how your problems began and when you suffer the most. If you visit your general practitioner, he/she can examine and feel the joints and test which movements are difficult or painful. Hip joint: a large joint in which joint pains are usually caused by arthrosis. Sometimes only time will tell what causes your symptoms. Unfortunately, the cause of the painful joints often remains unknown. Sometimes painful joints are obstinate. You might get worried that this has to do with rheumatoid arthritis. This risk exists, especially if you also have signs of an infection/inflammation in your joints, such as burning and swelling of your fingers and symptoms that last more than three weeks. In that case, contact your general practitioner, who will refer you to a rheumatologist to investigate this further. What can you do yourself if you have problems in your joints? Always stay in motion to prevent painful joints as best as you can. The saying ‘if you rest, you rust’ is very appropriate here. If the joint is not swollen, warm or red, then it is perfectly safe and well advised to keep on moving. Moving strengthens your muscles and prevents them from getting stiff. In the long run, the pain also lessens. You can also set up an exercise program together with a physical therapist. Always begin carefully and continue to expand the extent of your movements. Try to stay in motion and to expand your physical exercises step by step up to 30 minutes per day. For example, take a walk, ride a bike or go swimming. If during or after exercising you notice that the symptoms get worse, try to take it easier for a while. If the symptoms become less severe, you can then exert the joint again. If you are overweight, try to lose weight in order to reduce the overload on your joints. The best way to achieve this is with the help of a dietician or a coach. Physical activities and a healthy diet are especially important in this endeavour, and of course also your perseverance. If you have no perseverance, it is better not to constantly change your diet. In that case, you must accept the fact that you are overweight and that you are not overly motivated to lose weight. Playing yo-yo with your weight is the worse thing you can do for your body and joints. This often leads to painful joints.